They have always scared him in the past—the Rangers, with their dark cloaksand shadowy ways. The villagers believe the Rangers practice magic that makes them invisible to ordinary people. And now 15-year-old Will, always small for his age, has been chosen as a Ranger's apprentice. What he doesn't yet realize is that the Rangers are the protectors of the kingdom. Highly trained in the skills of battle and surveillance, they fight the battles before the battles reach the people. And as Will is about to learn, there is a large battle brewing. The exiled Morgarath, Lord of the Mountains of Rain and Night, is gathering his forces for an attack on the kingdom. This time, he will not be denied. . . . 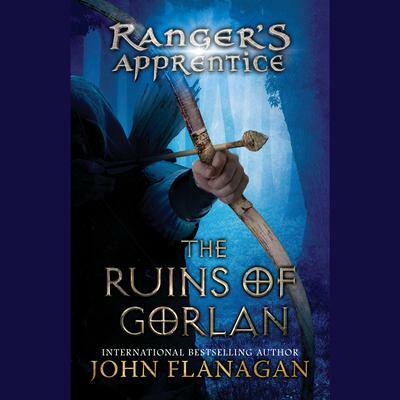 Here is the fantasy adventure that launched the Ranger's Apprentice series, an epic story of heroes and villains that has become an international phenomenon. Perfect for fans of J.R.R. Tolkien’s Lord of the Rings, T.H. White’s The Sword in the Stone, Christopher Paolini’s Eragon series, and George R. R. Martin’s Game of Thrones / A Song of Ice and Fire series.